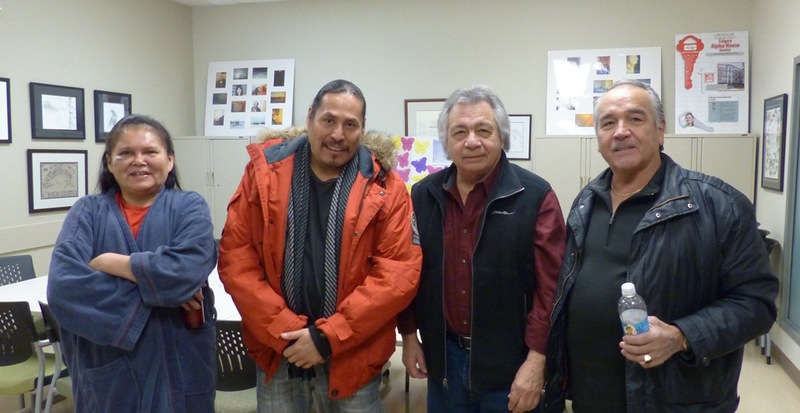 We were thrilled to have Dwight Dorey, National Chief of the Congress of Aboriginal Peoples come to Alpha House and speak to some of our detox and housing clients. The conversation ranged from life on reserves, to Urban Aboriginals and the issues they face experiencing homelessness. One client shared the concern around the increase in Crystal Meth use among the younger Urban Aboriginals. Congress of Aboriginal Peoples advocate for the interests of Aboriginal Peoples living off-reserve since 1971 for Status and Non-Status, Metis and Southern Inuit of Labrador. Check out the Calgary Herald article to learn about his talk he gave while in Calgary.